Ask fellow campers about "Holland State Park" and nearby attractions. There are two campgrounds in the Park. We stayed in the Beach campground. The big advantage of this campground is the location. It's right on Lake Michigan in sight of the famous Red Lighthouse--beautiful. The CG itself is basically a large parking lot--but it's no Wal-Mart. The sites are large and easy to back into with plenty of room for awnings, a picnic table and tow vehicle parking. Even though there are plenty of other campers nearby, sites do not feel uncomfortably close. The washrooms and showers were spotless. The camp host even had a small collection of books to borrow from the local public library. It's a quick walk to a lovely beach. There are also other nice walks to take right outside of the campground. Television and internet connectivity are good. Most of the sites are electric only. Only those down the center have water and sewer. We were there for only one night but hope to go back and spend more time in the near future. We camped at Holland State Park in a Travel Trailer. If you can tear yourself away from the beach, there's plenty to see and do in Holland and nearby Grand Rapids which has numerous great restaurants and breweries along with the beautiful Meijer Sculpture Garden. This is an older state park and it shows. The roads are terribly narrow and parking is allowed right beside the road making maneuvering in a large motorhome very difficult. We got in, but not sure if we can get out or if I have to back out the way we came. The site is about as un-level as any I have ever seen. And the soil is very sandy so using the levelers is not going to work with something this heavy. It is a really bad way to sit; thank heaven we only planned on spending one night. Really, the road side stop we were in a bit down the road would have been better. Trees are not trimmed to allow for easy passage or parking. They are well below the 14 feet clearance needed for some vehicles. We camped at Holland State Park in a Motorhome. Nice state park right on the beach on Lake Michigan. Phenomenal sunsets every night! A very limited number of sites at the beach campground offer full hook-ups, but we were on an electric only. Small beachfront snack bar offering lunch and dinner. We camped at Holland State Park in a Motorhome. If you have curly coated dogs, beware the industrial strength burrs near the beach grass. Holland waterfront area great place to view boats, water, sunsets, and people. If you like a parking lot, then you will love this campground. Level, tight spots on hot asphalt in bright sunshine. Beach was OK, but crowded on weekends (even the first weekend in June). Stayed two nights in two different sites in beach area, then several more nights in wooded area (2 mi from beach). Wooded sites were horrible to level MH. Nice walking on paved/gravel park roads. About a half a mile to dune climb boardwalk - in good condition with nice views of Macatawa Lake and Lake Michigan. If you do not mind crowds and a fairly long walk to the beach, hot and packed-in like sardines, enjoying (?) other's conversation, music, dogs, and campfires...you'll like it! We camped at Holland State Park in a Motorhome. Campground Woodstock Loop Not Ideal - just an OK stay overnight. We camp in a Little Rig "Tear Drop" style RV only 15' long w/o toilet or shower ~ plus we like to eat outdoors using the picnic table and set up our dining canopy for sun and weather protection and thus rely on condition of campgrounds facilities and being nearby our site ~ so our critique is focused in that area. We were close to restroom/shower building which were ok and typical of state park. No hooks or shelves for your stuff but shower stalls were separate private rooms accessed from outside separate door (unisex style) all tiled walls w/small bench but no rubber mats on floor (wear your clogs). Access to toilets and community sink area through separate door. Area was very messy and dirty - didn't have hooks or shelves for your stuff - no paper towels for visitors use to clean up after themselves - only air dryer and probably reason for it being messy - not a pleasant experience . . Park was very crowded during our stay; sites very close together/cramped very minimal privacy between sites not typical of state park. Gravel site pads fairly level asphalt interior roads. Disclaimer: As I write this review it occurred to me that there might be 2 sections (old & new) and most likely we were in older section sites 117 thru 172 [Woodstock loop]? I Believe the Pine Loop Sites 001 thru 116 might be larger w/more privacy not squeezed and restroom/showers were more modern. We camped at Holland State Park in a Travel Trailer. You must purchase a Michigan State Park "Recreation Passport" - MI Resident $11 and Non-Resident $31. You can buy it at the park office upon arrival. This fee is for a calendar year so, if you buy it in September like we did, you'll only be able to use it for four months. Alternatively Non-Residents can pay a daily fee of $11/day. Additionally, if you reserve online, there is an $8 reservation fee. 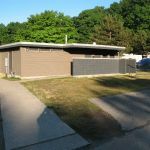 As others have mentioned, Holland State Park Campground is essentially two different parks. We stayed at the Beach campground so that is what I will discuss. Because we were there off-season, it was about 10% full during the week and about 30% on the weekend. It is an asphalt parking lot. Yes - the spaces are close but you're not on top of each other (in our opinion). You have enough width to park you tow car alongside your coach. I guess it's a matter of what you're used to but we've seen a lot worse! Having said that, I can imagine, if the CG was completely full, it could feel crowded. This park is all about location. While you cannot see the lake from the CG (due to the dunes), you can quickly walk to the beach/water. All hook-ups worked well. Verizon cell and Sprint Mifi worked well. The park does not offer wifi. There are no trees so it was easy to obtain a DirecTV signal. We had lots of rain but did not notice puddling anywhere. Because it was off-season, the office was not staffed even though a sign in the window posted hours which they did not observe. We had to fill out an envelope and deposit it with a check into a box outside the office. Then a ranger came to our campsite later to drop off our Passport and reservation confirmation. We had lots of peace and quiet and found it relaxing. I'm sure, during peak Summer season, it's very different. We would definitely stay here again - even at a busy time. We camped at Holland State Park in a Motorhome. This campground has a no alcohol policy. The rangers patrol and, if they see alcohol, they will make you pour it out. If they want to, they can issue a ticket and/or kick you out. They're serious about enforcement. Take the Mt. Pisgah stairs (just outside the CG entrance) to a nice overlook. We enjoyed a day trip to Saugatuck. Our cat, Fatty, caught a cold. We appreciated the professional and caring service from Ottawa Animal Hospital. We called last minute and got a spot on the beach side campground. We didn't have full hookup but we could see Lake Michigan from our spot. Since we had never camped at the beach side, we didn't know there weren't fire pits, many people brought their own. Also it was very windy and since it is a parking lot, no way to anchor our awning, some people had pails of sand to anchor their awning which is what I would do if I camped there again. Not too much traffic or noise, park rangers drove by every hour. We camped at Holland State Park in a Travel Trailer. Holland is a very nice town, but a little drive to get to. They have a nice farmers market on Saturdays. Beach is large, but very crowded. We stayed on beach at the north end by the campground walking entrance. Since beach is right there and the sand dunes plus lots of wind, sand was in everything. We stayed in the park nearest the beach, which was only a very short walk away. 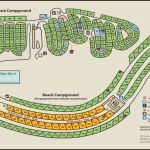 The RV park is basically a large paved parking lot, with spaces large enough for even large (40') motorhomes, and with a picnic table at most sites. We had full hookups. There is no shade in this portion of the park and no privacy. However, because we visited in May there were no crowds and during the week the park was only about one-quarter full. All spaces are back-in. We camped at Holland State Park in a Motorhome. If you can tear yourself away from the beautiful sandy beach, the town of Holland has many worthwhile shops and restaurants. Nearby is Windmill Island, well worth the price of admission. The artsy town of Saugutuck is just a bit south and worth the drive. We just left this state park and plan on never returning. We stayed in Lake Macatawa Woodstock loop. Our family was heading to the lighthouse and to get through the gate were treat like criminals. The men at the gate house were very rude. The lake campground was actually a parking lot and were not allowed to have fires. We regret ever stopping here and will never return. We camped at Holland State Park in a Travel Trailer. We reserved online for a 50 amp site but when we arrived we found we had been assigned to a 30 amp site. The attendant was very apologetic and helpful. With the approval of the manager and a few dollars more they moved us from the Macatawa site to the Beach site-well worth the additional cost. The campsites at the beach are more spacious and much prettier. In the future I would request a site that backs up to a sand dune. But given we were there the weekend before July 4th, we were so happy to have a site with FHU. There was a nice picnic table but no fire pit. There was no wi-fi or cable but the price was right and we were a few hundred feet from Lake Michigan. We will stay here again if the beach campground is available. Space is important to us. We camped at Holland State Park in a Motorhome. We stayed during the Tulip Festival and found the campground not 1/2 full. Sites were adequate but for some without skill navigating trees on their sites it could be a problem. There were 5 units in our group, and getting sites back-to-back was great. The park has a NO-Alcohol rule but that was not a problem for our group. Hiking trails in the park with dunes, beach, lake fishing, boat launches, disc golf, and marinas nearby was a joy. Local restaurants were great and prices reasonable. We will probably all return. We camped at Holland State Park in a Travel Trailer. This has to be the worst State park I have ever stayed in. It was absolutely filthy. The first site we tried to back into was way too short for our trailer. I went to the office and the rude young lady told me she was leaving and I had to decide between the site that was too short or one that was on an incline. I picked the one on the incline because I could not get into the first site, although I was very specific with the reservationist I spoke to on the phone. The campground was packed with families. Our fire pit was full of empty plastic bottles from the previous camper. I can't imagine what the camp host job is? It certainly is not to pick up trash. The sites are poorly marked. People park everywhere. This was my first experience at a MI state park. I sure hope all the parks in MI are not like this one, since I will be here 2 months. I would never stay here again. We camped at Holland State Park in a Travel Trailer. We stayed at the Beach Campground. The sites were nicely paved, but were very tight to position our 34' fifth wheel, and it was not a good place for pets. The campground is on a nice beach area, but it is very crowded there on the weekends. 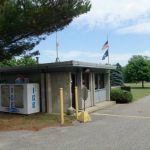 You must register at the Lake Macatawa Campground office before heading to the Beach Campground. You also have to pay an additional $8 fee for one night for a Recreation Passport. Very disappointed with our experience here. We camped at Holland State Park in a Fifth Wheel. This is a very dirty state park. Restrooms smelled like urine all week. The grounds are not kept up and the sites are super dirty if you have kids. Would not stay here again. We camped at Holland State Park in a Motorhome. 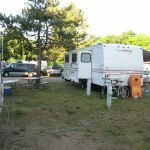 We liked this campground, sites are on the smallish side, but the area is nice and you are close to Lake Michigan and the Ottawa Beach Store. Was a bit noisy at night. We camped at Holland State Park in a Tent. Are you affiliated with Holland State Park ?